Read Op-Ed by Rep. Kim Moser and 2018-2019 KMA President Dr. Bruce Scott published in the Courier-Journal on Oct. 11, 2018. Click here to see clips of KMA members advocating in support of KMA priorities. 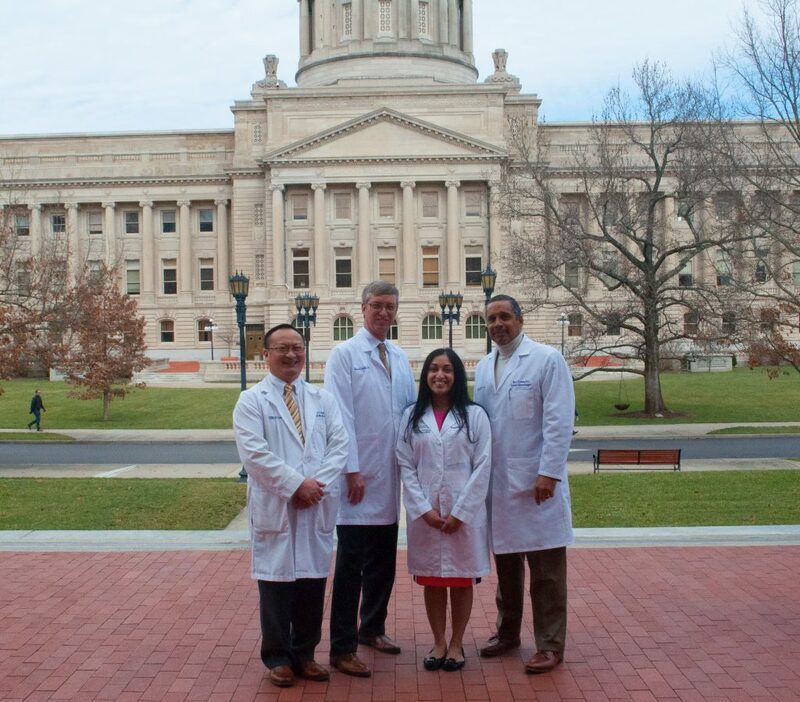 Click here for a special message from KMA President Bruce Scott, M.D. regarding the 2019 session. 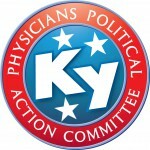 Click here to learn about KPPAC, KMA’s political action arm, which increases the medical community’s impact on the pro-medicine makeup of the Kentucky General Assembly. Link directly to bill summaries and text, along with other important information. Receive emails/texts regarding important legislation. 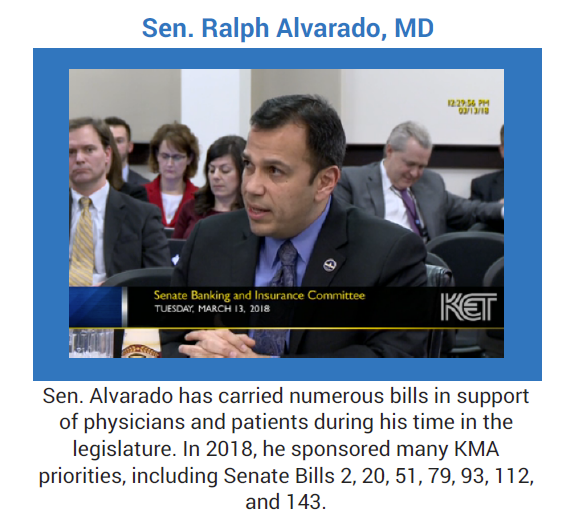 See how your legislator voted on KMA priorities. Learn the process of creating legislation. Follow important pieces of legislation. Legal guide to help physicians.